St Baker Jan 15 2015 6:27 am After rewatching the trilogy, i've just realized that Tomodachi/Friend's voice is just like Obama's. Don't you think? 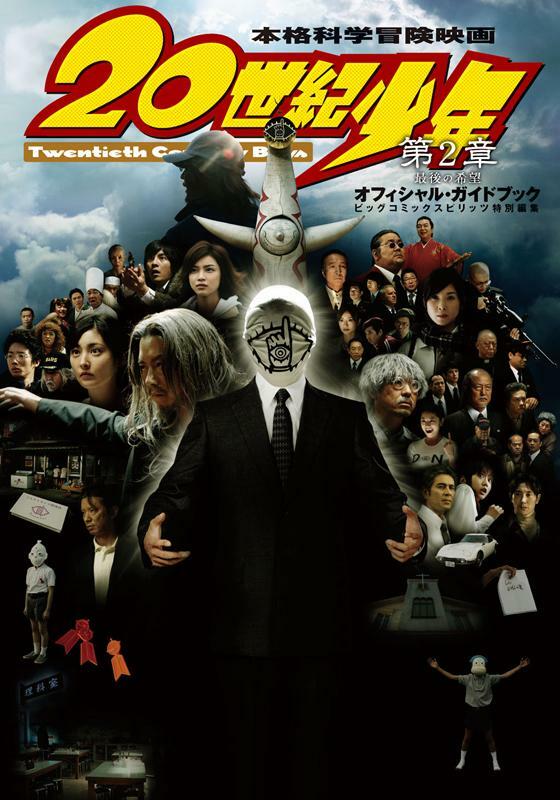 Ki Sep 05 2009 8:54 am “20th Century Boys 2: The Last Hope,” the second part in the “20th Century Boys” trilogy, leaves a whole lot to be desired, but also manages to right its ship just in the nick of time. A mind numbing amount of minor characters are introduced and various sub-plots are introduced, but just as quickly thrown out the window. 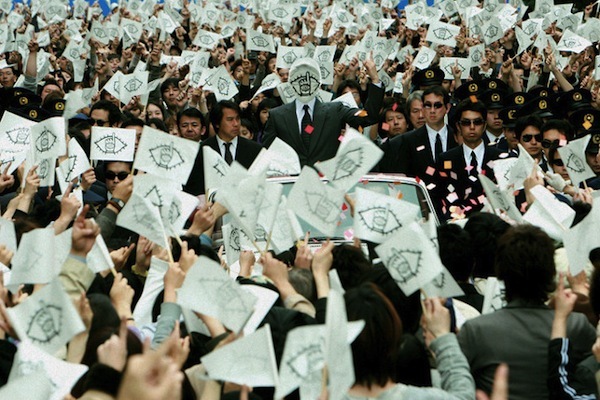 I would imagine this is all due to the filmmaker’s desire to stay true to the original manga, but this also nearly kills the film. Fortunately, once all the superfluous stuff are finally laid to rest (this occurs some 90 minutes into the film!) an exciting action film does come about. 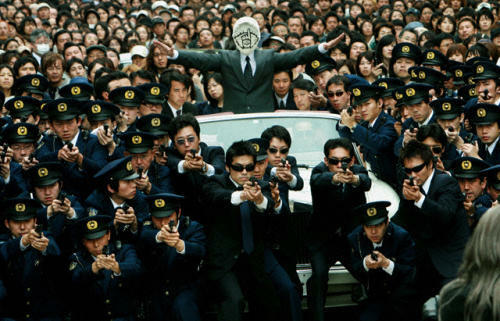 The best thing about “20th Century Boys 2: The Last Hope,” is clearly Etsushi Toyokawa and his b-b-b-b-bad to the bone portrayal of the outlaw Otcho. Without his appearance the movie would have been a complete bomb. 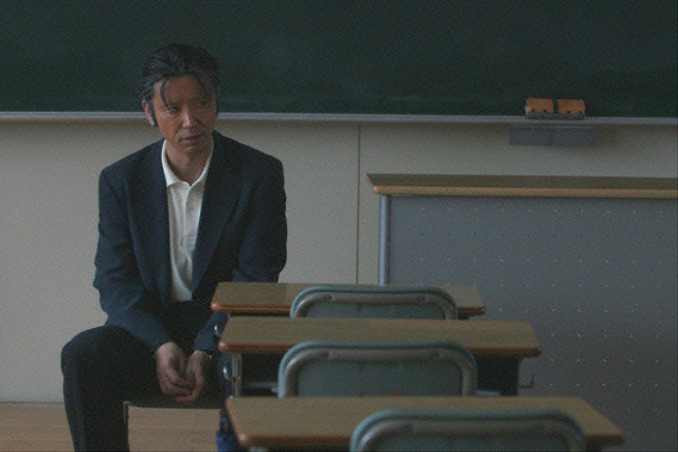 This is particularly important because the film casts Airi Taira in the central role of Kana. Sure Airi Taira is cute as a button, having the looks of a young Kou Shibasaki mixed in with a young Aya Ueto. Unfortunately, her acting is another story and she comes across as a middle school kid playing make believe. There’s also Haruka Kinami (who plays Kana’s classmate Kyoko) as she seems intent on overacting her way to stardom. With the dreary performance by the main actress and a story line that rambles on like a gadfly with dementia you can guess the movie had me squirming in my chair – at least for the first 90 minutes. With that said and no real hope in sight, it did come as a huge surprise that the final 35 minutes of the movie (finally) delivers genuine excitement & fun. 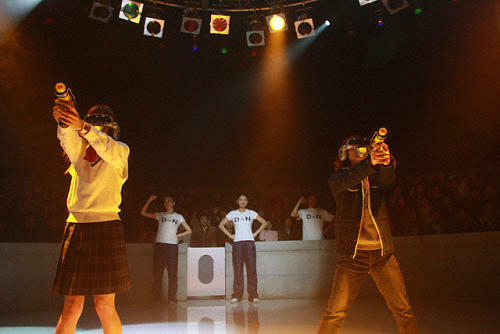 By this time, all the subplots are laid to rest and its just Otcho, Kana, and her friends going up against Tomodachi. Yes, even in the year 2015 a simple steel cage death match trumps overly complicated manga-goo.